In March, Google unveiled the next evolution of gaming; streaming. The service, called Google Stadia, runs on nearly every technology device available; tablets, PC, Android phones, as well as Chromecast. Notice there was no mention of a Google Stadia console in that list. That is because Google is betting everything with Stadia on the Cloud and Internet connections. Players connect to the Google Stadia service with whichever device they choose and then access the games. Creating “game walkthrough” videos for YouTube is made seamless with integration with Google’s video services. The timeline for the Google Stadia release will be “2019”, so we’ll see it any time this year. Why Google Stadia is revolutionary is easy. The idea of not tying gamers to a specific console is absolutely revolutionary. 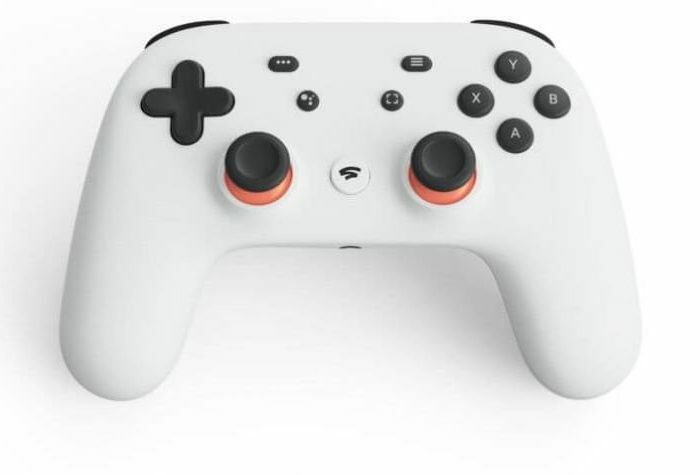 With Google Stadia, instead of outlaying hundreds of dollars on a uni-tasking device, players have the flexibility to go from mobile to computer to Chromecast to play their games wherever and whenever they want. But Google is too late to this game. Here’s why. Let’s begin with the streaming games. Both the Sony PlayStation and Microsoft Xbox have a trove of games available. Sony’s is called Now and Xbox goes by the name Game Pass. These are monthly subscriptions that allow gamers to play a wide variety of games throughout the console makers’ libraries. These are not B-games or ancient titles—there are brand new releases available in these libraries, as well as best-selling classics. The streaming aspect is another issue for Google Stadia. According to their press event, the Stadia will need 30 Mbps to get up to 4K; 25 Mbps for 1080 resolution. The average Internet speeds in the U.S. stands at 96 Mbps. However, there are large sections of the States that do not have high-speed Internet access and fall well below the 25 Mbps threshold of Stadia. This cuts out a large segment of Google’s potential market. The other aspect of streaming a game is data limits. Several Internet services have monthly caps on the amount of data they either allow in general or a soft cap that slows down your speed once you’ve gone past a certain limit. Both of these are concerns. AT&T U-Verse has caps at 300 GB, 600 GB, or 1 TB per month. When streaming Amazon Prime can consume as much as 6 GB per hour, customers with lower caps will end up paying more to play Stadia, especially if they live in a household whether others are accessing the internet, streaming media, etc. Google’s Stadia presentation leveraged the idea of playing along with others. One aspect of this was their integration with YouTube and giving gamers the ability to create game walkthroughs, or watch walkthroughs, of the games they are playing. The other segment of modern gaming is not subtly hinted at in the name; Stadia. Google wants you to use Stadia to play alongside friends and in front of others. Gamers are already doing this. Twitch is a video and media website dedicated to the broadcast of gamers and their games. Their most popular gamer makes $500,000 a month playing Fortnite and other multi-player games on the platform. Fortnite, and its competitors like Apex Legends from EA, have created an environment of competition and camaraderie within the ecosystems. The games themselves are able to be played on multiple devices such as mobile, PC, and consoles. Creating a service to aggregate streaming games into one location may make sense for smaller game makers but it will not for established players in the space. The last aspect that Google missed when declaring you don’t need a console is that today’s console does more than play games. Yes, it certainly does that and does so rather well. Today’s game console is no longer unitarian. Sony and Microsoft have created entertainment appliances with the ability to purchase and watch movies and TV shows, stream Netflix or Amazon Prime, and record and broadcast your gameplay. Google is a smart company with good business acumen, unlike many companies. There was certainly research and meetings around the development of the streaming platform and they obviously either see a hole in the market, or plan on making one. The benefits of Stadia are all great ideas; it’s just that others are already doing them.